How much is 14 + 6? All Saints Home is a Voluntary Welfare Organisation (VWO) that provides comprehensive and professional eldercare services to the aged of all backgrounds. We are firmly anchored on our mission to provide quality care, bring joy and comfort, and honour the dignity of residents in a caring Christian environment. Over the past 30 years, we have built a reputation for our commitment to deliver the highest standards of professional eldercare – with love, sincerity and purity. By God’s grace, we will continue to do so, and extend our reach to positively impact the lives of those in need. In everything that we do, there is only one aim – to be a shining testimony of God’s great love and compassion in eldercare. We provide quality care, bring joy and comfort, and honour the dignity of residents in a caring Christian environment. where our care plan for each resident is individualised and reviewed periodically according to his or her latest condition and needs. 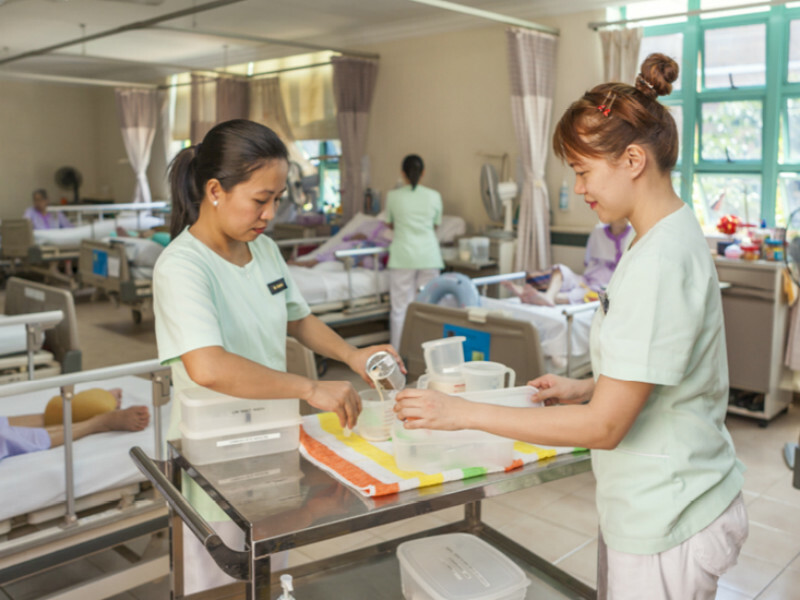 Customised physiotherapy, occupational therapy, continence management and other healthcare activities are carried out daily according to the resident’s dependency status. A variety of recreational programmes are also carried out to promote social interaction amongst residents. where we provide short-term respite to families and caregivers. Such respite care enables them to have a short break, with peace of mind that their loved ones are being cared for safely and professionally. where we help our day clients to maximise independence, enhance function, adapt and develop skills, and minimise the need for support. Their caregivers are also given support and training. which will be rolled out soon to provide clients with a complete range of home-based care services in the comfort of their homes. Each of our four homes has its unique ambience, and offers distinct facilities and services, beyond residential, respite and day care. Started in 1986, All Saints Home (Hougang) is our very first home. Although the home has expanded its capacity and facilities over the years, it remains a homely environment filled with a friendly kampong spirit. Residents socialise with one another by participating in regular Karaoke and Baking Sessions. In addition, our unique Table Tennis Therapy allows residents to pick up positive energy and learn from the disabled during the game. Provides supportive Centre-based environment for frail and/or physically disabled elder to be cared for by maintaining and /or improving their general, physical and social well-being including support and respite to their family/caregivers. Provides recreation programmes to engage the clients in meaningful activities and achieve the objective of optimising their quality of life and well-being. To delay the physical and mental deterioration of the clients with dementia and avoiding premature institutionalisation. To improve the individual’s functional status to the maximum level medically possible and enable them to remain active in the community. To provide basic nursing and personal care for clients including change of dressings and tubes when required. In addition, our therapists conduct a weekly Waltz Programme. Supported by Agency for Integrated Care and the National Arts Council, the programme encourages residents to get up on their feet, uplifts their mood, increases sociability and draws them closer to the care staff. 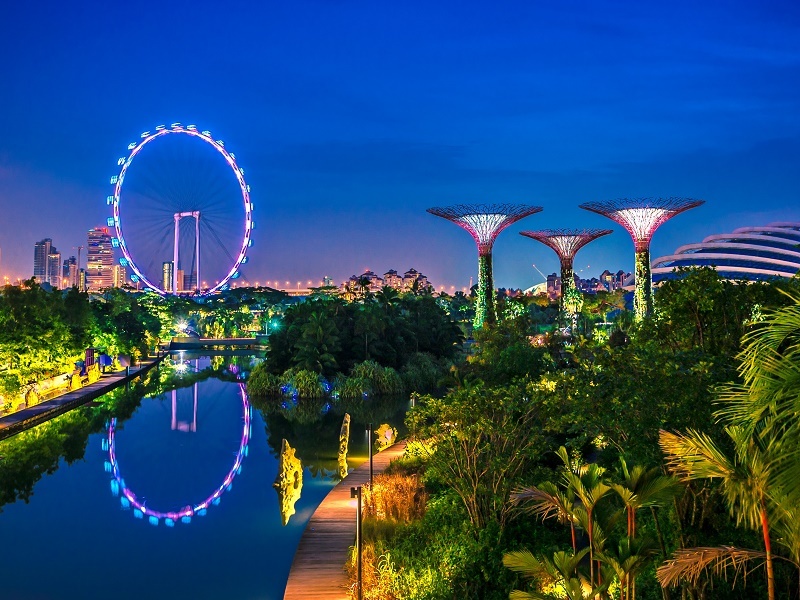 All Saints Home (Yishun) opened its door to the first resident on 23 March 2015, and extended our reach to the northern part of Singapore. The home has a Community Rehabilitation Programme that offers individually tailored physiotherapy and occupational therapy for day clients. The home reignites the kampong spirit with its community-based activities. To bring rural life into Yishun and promote interaction, residents and volunteers are encouraged to grow and harvest their favourite flowers, herbs and fruits at our Community Garden. Seniors in the neighbourhood are welcome to visit our home, exercise and enjoy a hearty bowl of nutritious soup prepared by our a community-based Share-a-Pot project in collaboration with Alexandra Health. 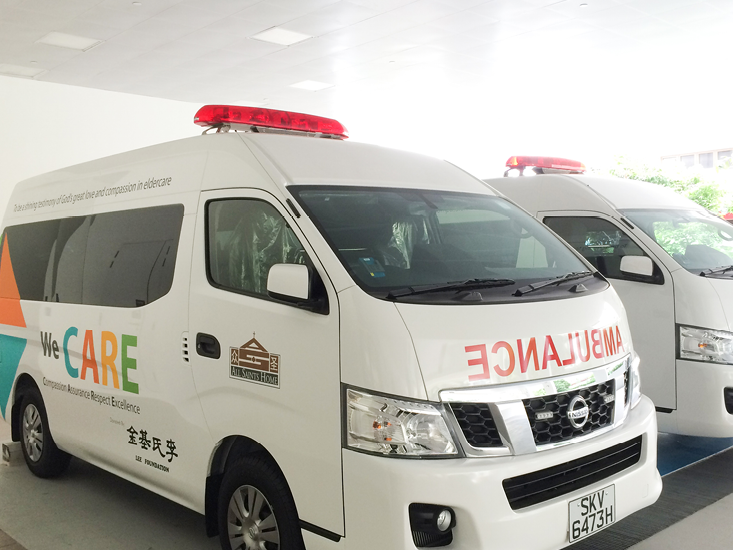 All Saints Home (Jurong East), which commenced operations in September 2015, is our newest nursing home. With lush greenery, the home offers residents the much needed tranquillity. 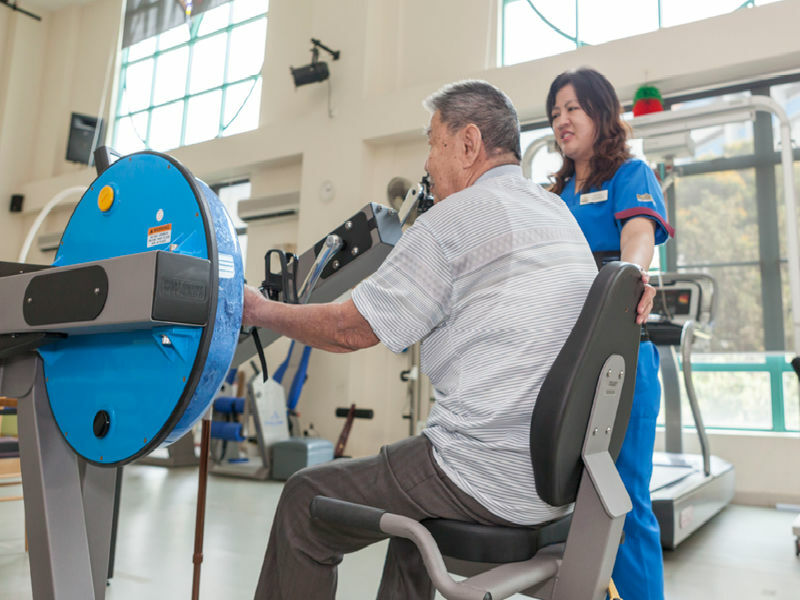 All Saints Home (Jurong East) has a 49-bed Dementia Care Ward to care for residents suffering from dementia. Its Therapeutic Outdoor Garden provides the safe and green space needed by residents (especially those with dementia) to wander and enjoy. How much is 7 + 17?